If you write as a hobby or professionally, chances are you’ve heard that plagiarism is bad and you should avoid it entirely. Why do people hate plagiarism so much? Well, it comes down to many ethical and moral reasons, all leading back to the fact that plagiarism, whether intentional or not, is essentially stealing someone else’s work. Today we’re going to discuss the basics of plagiarism, reasons you should avoid it completely, along with some great online plagiarism checker tools that you can use to ensure that each of your documents is 100% plagiarism free. There are a few different types of plagiarism to consider. First of all, copy and pasting someone else’s content such as an article and presenting it as your own is a big no-no. You should always cite your sources and give the creator credit wherever it’s due. The second type applies more directly to schoolwork. If you were assigned to write an essay and you instead paid a writer to do it for you. Many could consider this plagiarism. Keep in mind that if you operate in professional spheres, this could be different. For example, if you’re a small business owner and you want to post weekly blog posts, it is perfectly fine to hire a freelance writer to write them for you as long as the terms of the agreement are met. Another type of plagiarism involves overhearing conversations or ideas and then taking the idea and presenting it as your own. This is a hard case to prove in some circumstances, but you should avoid this at all costs. 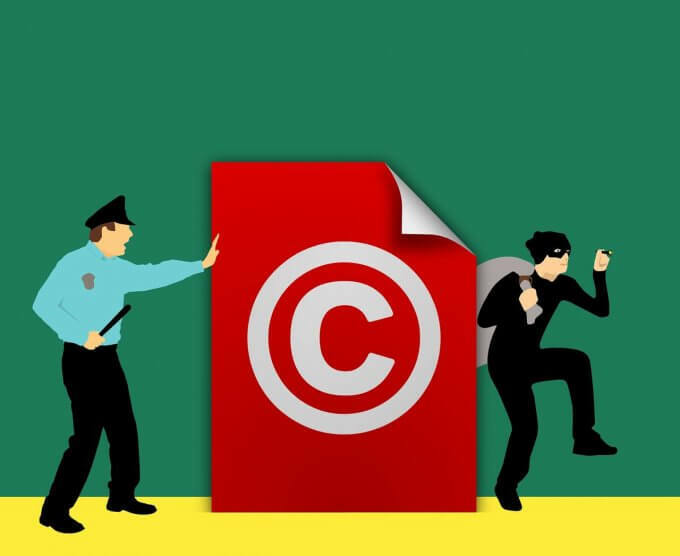 The final type of plagiarism is when you take a photo, video, or music clip and use it on your website or publication without the artist’s permission. This case of plagiarism can actually get you in serious legal trouble if you aren’t careful, which is why you should avoid it. In general, plagiarism is whenever you take something that isn’t your own and present it as yours. Whether it’s intentional or unintentional, it can still have consequences ranging from minor embarrassment all the way up to legal damages. Let’s take a look at a few of the reasons that you should avoid plagiarism. So, we’ve covered the basic definitions of plagiarism, now let’s look at the five reasons that you should avoid plagiarism at all costs. This reason is if you unintentionally plagiarized a piece of content that was already published. Although this is a minor offense and can be laughed off as a simple mistake, it is still embarrassing. This is especially embarrassing if it’ in a professional setting. 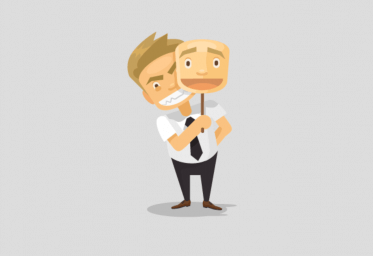 Nobody likes feeling embarrassed, so you should avoid plagiarism for this reason. 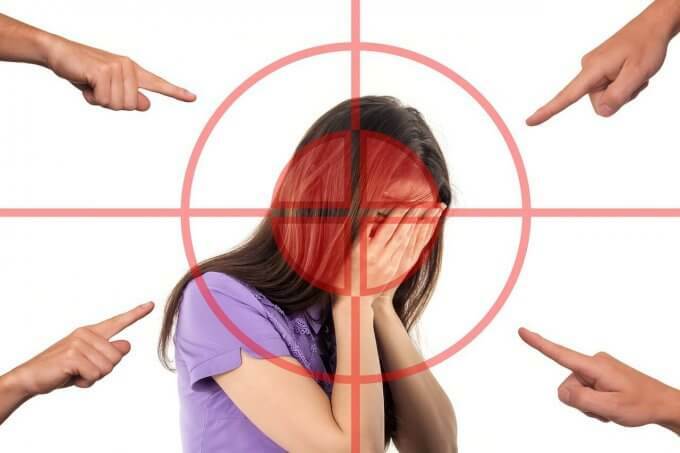 Beyond just minor cases of plagiarism, if you committed a serious offense such as plagiarizing entire sections of a report for use in your own report at work, your reputation will likely face damages. Your bosses might not trust you as much anymore, and it can take a lot of goodwill and hard work to earn back that trust. If you take someone’s photos and claim them as your own, you could be in violation of their copyright. These days, copyright laws protect almost everything, and stealing someone else’s work to claim as your own is a serious offense. The photographer, musician, filmmaker worked hard for that product and expect to receive payment or credit for their work. Violating their copyright could likely mean a fine, although some cases have included jail sentences so be very careful in this case. Always check the credit of the product and make sure you have their permission to use it. If you are a student, you most likely know the pressure of working under a tight deadline. A paper is due in only a few hours, and it will likely take an entire day to finish the project. Many students under this pressure see plagiarism as the easy way out. Even if they change a few words of the content, it can still fall under plagiarism rules. Consequences for plagiarism in education are very severe. Since your job as a student is to submit your work and receive a grade based on your own abilities, by plagiarizing something, you aren’t being truthful. Most of the time, this can result in failing a class. In severe cases at prestigious schools, one incident of plagiarism can likely result in expulsion. Don’t take the risk, and always avoid plagiarism at all costs to protect your reputation and standing as a student. Aside from the moral and possible academic consequences, Google will actually punish your website if it contains plagiarized content. This can affect the ranking your website has in the search results and could ultimately translate to lost sales. Don’t take the chance and do everything that you can to ensure that you are ranking as high as possible by avoiding plagiarism. Just 20 years ago or so, avoiding plagiarism meant you took a proactive approach and took the time to cite sources. However, this doesn’t really protect you from unintentional plagiarism from content already floating around online. You don’t have the power to physically search for every phrase in your article to ensure that it avoids plagiarism, but with modern digital tools, it’s now possible. 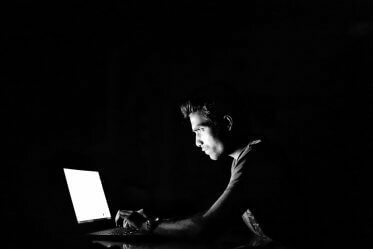 Online plagiarism checkers are platforms that will first scan your document, and then search the internet, comparing every single word, sentence, and phrase to everything that has ever been published online. They are extremely fast and save writers tons of time and effort to ensure that their content is 100% original. They often work by using advanced algorithms and harness the power of the major search engines to search the internet for similar pieces simultaneously. These tools are great for anyone that intends to write something that others will read. If you’re simply writing in a journal every day, it doesn’t really matter if the work isn’t always your own since it’s just for you. However, as soon as somebody else may read it, you want to know for 100% that your work is all your own. Different types of content will carry different levels of anti-plagiarism importance. Emails with colleagues might not need to be 100% original if you were sharing a quote with someone, but an article for a major publication or an essay for school must be 100% plagiarism free. 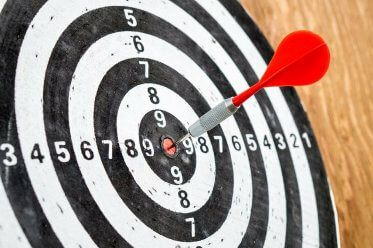 Now that we’ve covered the basics of plagiarism and the essential reasons to use an online plagiarism checker, there are certain features and attributes of plagiarism checkers you should consider Just like any product, although they might offer similar features, not every plagiarism checker will be like the others. 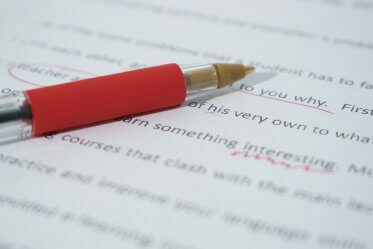 These are the important aspects to consider when deciding which plagiarism checker to choose. Some plagiarism checkers will work with only a couple of clicks while others might take a little bit of technical knowledge. For this reason, you should pick one that matches your skill level and will work best with your workflow. 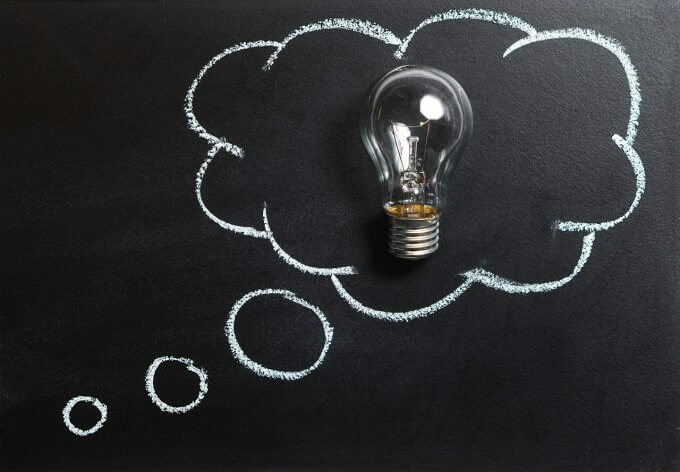 While some plagiarism checkers will only scan your document for plagiarism, others boast additional features like checking for spelling and grammar. 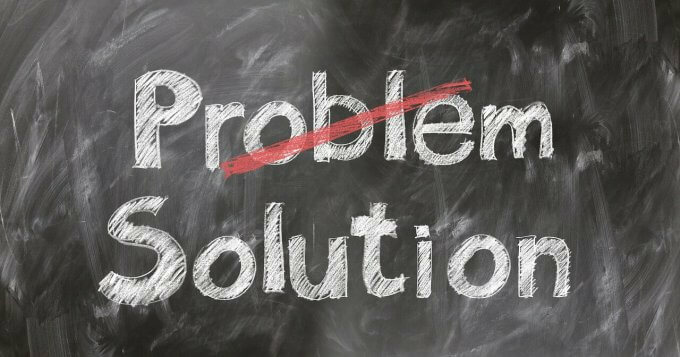 Determine what your needs are along with the other applications that you already use as you write to pick the ideal plagiarism checker for you personally. This point is important and can affect the way that you work. Some of the plagiarism checkers on this list operate simply as a website, and you must copy and paste your text in and out of the text field to use it. This can affect the format and layout of your text. This might seem like a small detail, but if you are designing a brochure or poster, for instance, you might want to preserve the formatting before checking for plagiarism. Other options on this list will integrate directly into your word processor or other program. This eliminates one step of the plagiarism checking process which can save you loads of time and effort in the long run while also preserving the format of your document. Some people might want a fully featured plagiarism checker for their professional work. Others might only need an easy to access option that will check for plagiarism and nothing else. We took price into consideration when we were ranking this list of the top ten plagiarism checkers available online. Depending on your needs, the price could be the make or break factor for you when deciding. Grammarly is the go-to tool for writers and educators. Whether you’re a professional or merely write for a hobby, Grammarly is one of the best platforms to improve your writing and check for plagiarism. It uses a database of over 16 billion web pages to check for any plagiarized content in your document. It is an incredibly robust platform and works quickly to scan your document for plagiarism, grammatical errors, spelling, and much more. There is a free version of the platform available, although you’ll find more of the advanced features in the paid version. If you plan to use Grammarly frequently or write a lot, you’d probably be better off paying the subscription fee so you can get the most out of the platform. Can work with Word, Mac OS, iOS, Android, and more. The free version is only limited to the web and not as feature filled. Duplichecker is a great free plagiarism checking tools that teachers and students all use. It is completely free, which is great for a student’s budget. This is a great tool for business owners as well. If you choose to outsource blog posts or other website content, you can quickly check to make sure that it is 100% original. To use the tool, all you need to do is copy and paste the text into the text box, or you can upload a Word doc also. The tool is completely free, and you have access to over 50 plagiarism scans a day which is quite a lot compared to other tools available. Completely free to use without many limits. Access over 50 scans for plagiarism each day, which is great for bulk checks for teachers. Searches are limited to only 1000 words. Must create a free account to use the tool for more than one search a day. 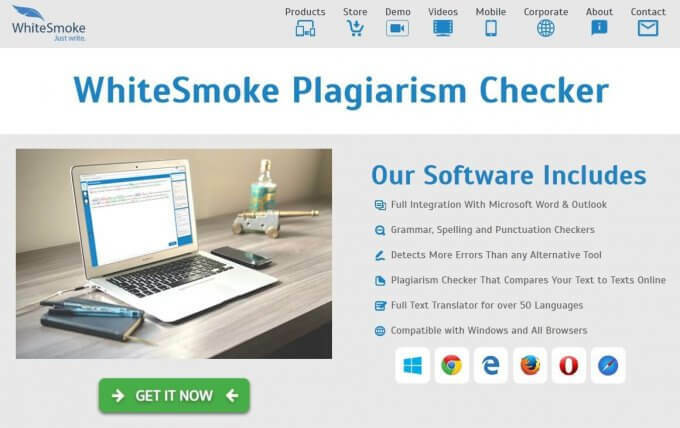 WhiteSmoke is one of the best plagiarism checkers because of the robust set of accurate features it provides users. Beyond simply checking for grammar or spelling, this anti-plagiarism tool is trusted and used by millions of users around the world. The plagiarism checker has billions of websites saved in its caches to utilize. When you upload a document, it will scan all of these web pages, and chances are, if your document has similar phrases, WhiteSmoke will find it. Although it might not be as well known as Grammarly, WhiteSmoke is still a remarkable tool to use and is a great alternative. 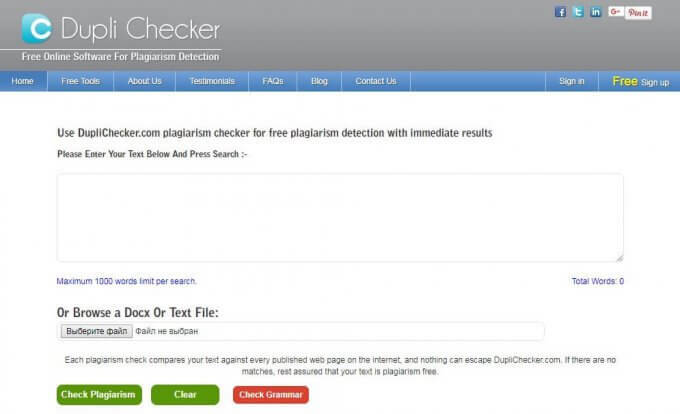 This plagiarism checker works with most browsers, Microsoft Word, and even Outlook. Can scan your document against billions of web pages for a thorough analysis. Supported across multiple platforms including Outlook, so you can ensure that your emails are 100% original. Highly regarded for research papers. Second to Grammarly in terms of database size. This plagiarism checker started its life out as a basic duplicate checker. Fast forward to 2018, and it is one of the best plagiarism checkers available on the market. Even when using the free version, you’ll most likely appreciate the simple and intuitive design. You simply need to paste in your text, and then Quetext will get to work scanning the internet for any duplicate content. The Deep Search feature is especially useful because it will check content not only for the common words but also for contextual plagiarism. This means that the checker looks at the lines surrounding each sentence and looks for any similarities. The best news is that you can use this tool for free also! 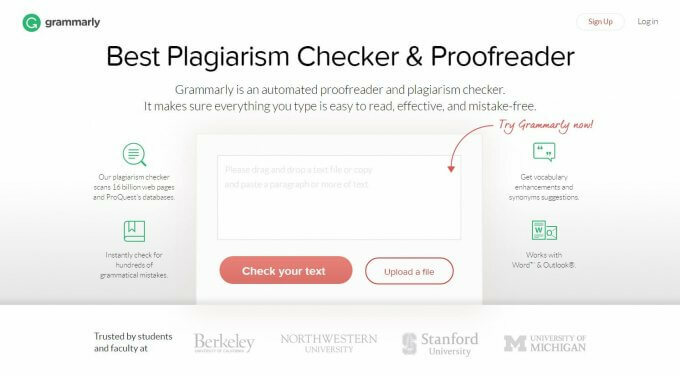 This is probably one of the best plagiarism checking tools on this list for students, and if invaluable to ensure that your essays are 100% plagiarism-free before you turn them in. One of the best free plagiarism detector software for students, teachers, freelance writers or anyone that wants to create original content. Better search and match technology than others by using contextual analysis to find duplicate sentences and phrases. This is a reliable and advanced plagiarism checker tool that puts a focus on helping teachers identify when their students turn in plagiarized work. PlagiarismCheck has only existed for five years but has taken the education industry by storm to ensure that all papers submitted meet the strict requirements of schools. 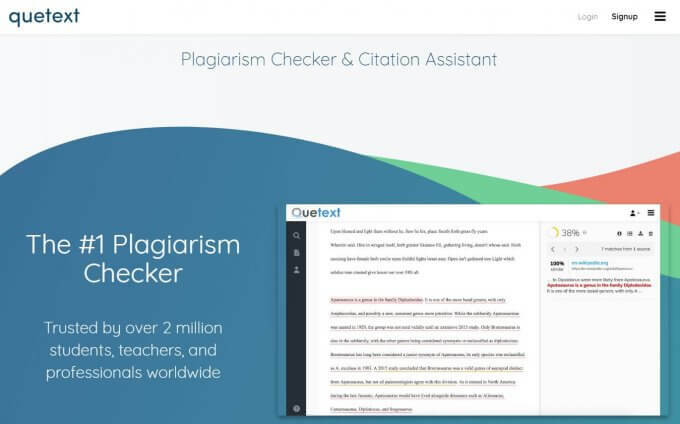 The plagiarism checker uses sophisticated algorithms to power the platform and can check over any type of document including an essay, script, etc. This is a great tool to check for unintentional plagiarism before you submit it to a professor or teacher. All you have to do to get started is upload your writing to the website, and it will then scan and compare your text to its regularly updated online database. It will even generate a report afterwards of your plagiarized content for you to view. Incredibly efficient plagiarism checking tool for students. Although you need to subscribe to get access, there is a free trial available. You can upload multiple file formats including Word Doc, PDF, RTF, and others. Costs $0.30 per 275 words. If you went with a tool like Grammarly, you’d have more options available for less money. This plagiarism checker is unique in a couple of ways and separates itself from other plagiarism checkers on this list. The primary reason that you might want to choose this platform over others is the robust collection of features beyond a simple plagiarism checker. It has a bunch of useful SEO tools that can help you improve your ranking on search engines. This is a great bonus for professional bloggers or small businesses that want to stay competitive. As far as plagiarism checker go, this one is relatively basic. You get most of the features that you love, but beyond the SEO features, there is anything that is incredibly attractive about this application. It is very easy to use, and you don’t need any technical experience to get started. 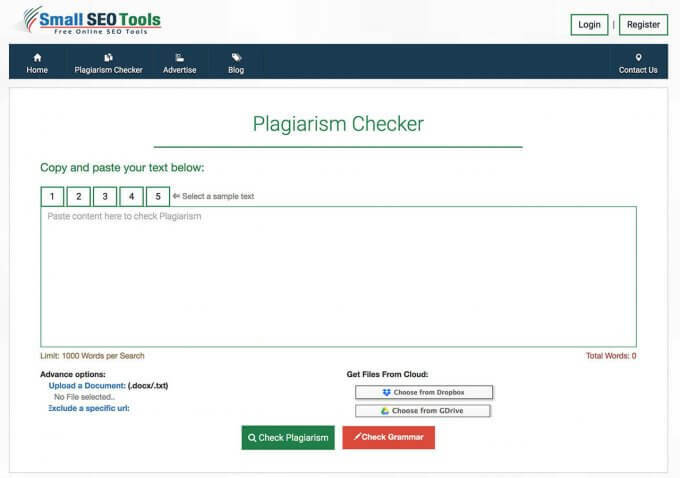 If you can copy and paste text, you can use SmallSEOTools Plagiarism Checker. If all you need is a basic plagiarism checker, but you don’t want to pay a penny for it, this is one of the best choices to go with. Super simple design and incredibly effective. Provides users with a variety of other tools that can help their content in unique ways. Upload documents from multiple sources including Dropbox and Google Drive. The free version of this app can’t compete with other premium services. This plagiarism checker claims to be a free alternative to another popular, premium plagiarism checking service. Whenever you upload your document to the platform, it will show links to the content that matches it so you can see for yourself whether or not you need to cite them as a source. Although it isn’t the best plagiarism checker on this list, it is a good free option. Low-cost alternative to other premium plagiarism checking services. Checks for unoriginal content in a variety of different sources. Best for educational uses but not for bloggers or businesses. This free Copyscape alternative is a god plagiarism-checking tool, and also serves users with copyright protection. These features are similar to Copyscape’s services, except this plagiarism checking services doesn’t cost a dime! This is a good plagiarism checker to use in education, whether you’re a student or a teacher. This tool allows users to bulk upload up to 100 essays, or other documents, so you can save time. Works in almost all languages on the planet. Operates off of a user-submitted database. You can check two uploaded documents against each other for plagiarism. Has a dedicated business segment to help with SEO. You can only scan 2,500 words per month using the free plan. If you want access to additional words and features, you need to subscribe to the premium plan. 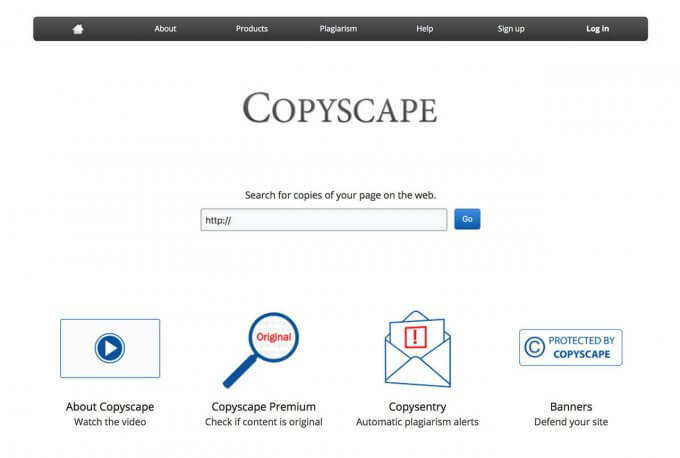 With Copyscape, it only takes a few seconds to check for redundant or plagiarized content on your website or blog. All you need to do is enter the URL of your website, and Copyscape will check it against practically every website online. It will also check for websites that are somewhat similar to yours so you can see what you should potentially change. You can also use this plagiarism checker to see who has copied your content also. This is great for published authors that want to crack down on plagiarism and piracy. If you think that people might be stealing your content, definitely give this plagiarism checker a try. Use their banners and badges on your website to scare off content thieves. The WordPress plugin is very useful and convenient. The premium features cost a lot. This plagiarism-checking tool is great not only for its ability to check for unoriginal content but also for the additional tools that it offers users. You can use Plagiarisma for a variety of things including a grammar-checker article rewrites, text scan, and supports Google, Yahoo, Google Books, and more. Whether you are a student, teacher, or blogger, this tool will catch plagiarism for you. This tool also supports over 190 languages, which makes it appealing for writers across the globe. All you need to do is copy and paste your text into the text box, and it will automatically scan the web for anything that matches your copy. In addition to the copy and paste functionality, you can also upload a document in a variety of file formats including DOCX, TXT, XML, PDF, DOX, and HTML. You can also simply copy and paste your website URL into the platform, and it will work with that too. The developers created this plagiarism checker to work on a variety of different platforms including mobile, so you can check for plagiarism while you are on the go. There is a free plan available as well as premium paid plans. The free version is useful, although it is important to note that the premium plans offer users many more features that you might find useful. Some of these features include Scholar Search, Synonymizer, and Similarity Checker. Support for TXT, HTML, DOC, DOCX, XLS, XLSX, FB2, PDB, PDF, RTF, ODT, EPUB and other file types. Premium plans are relatively affordable compared to other plagiarism checkers on this list. If you don’t want to subscribe, you can use the premium features for only one day for $8. Free warning banners to warn content stealers from taking your work. No add-on is available for Microsoft Office, which can be a useful feature in other plagiarism checkers. Scan speed is on the slower side of the spectrum. You are limited to only a specified limit of free checks. Although all of these services offer the same benefits and will scan the web to ensure you didn’t accidentally (or purposefully) plagiarize something, there are unique features that make some better than the rest. We’ve found that speed and additional bundled writing services make the difference for us in our internal tests of these plagiarism checkers. Your preferences might be different. Give them a shot and find the one that best fits your needs! What is your favourite plagiarism checker? Why? Welcome to the comment section below. I was looking for the best plagiarism test, and I visited all the sites mentioned by you. Many consider scammers too much, and I also read that someone even sells your document. This is the last thing I want. For what it’s worth, I finally found another test of plagiarism, which I consider very good. This: https://freebooksummary.com/plagiarism-checker. Maybe it helps someone. Great list of tools. I think you have researched a lot to bring up this knowledgeable post. thanks for providing this kind of many resources. 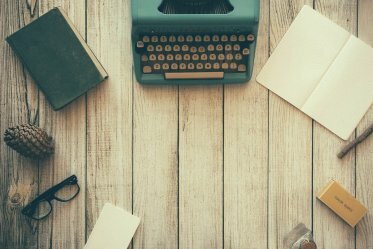 These tools will be very helpful for all the writers. Besides that, You can try to visit https://www.oxphrase.com/ Online Plagiarism Checker . With oxphrase premium you can check up to 30,000 words each time. Beside that it allows you to upload popular text formats such as (Microsoft Word) [.docx] or (Adobe Acrobat) [.pdf] and it also can export readable plagrism report as PDF. I believe it’s one of the best check available due to the official Ephorus database and an amazing algorithm. It’s used by thousands of students and therefore I think it deserves to be in your list. I’m happy to give you a discount code so you can review it for free!